On Tuesday, February 6 2018, SpaceX successfully launched the Falcon Heavy rocket, the most powerful operational rocket in the world. 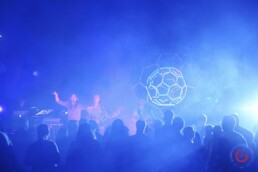 The livestream of the launch received over 2.3 million concurrent views, and was the second largest live streaming event in YouTube’s history. This Falcon Heavy launch is not a bad testament to marketing with video. However, it wasn’t the Falcon Heavy itself that dominated reporting on the launch, or that captured the imagination of so many viewers. 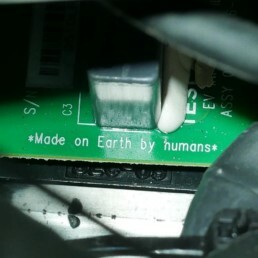 It was the rocket’s payload: a 2008 Tesla Roadster, complete with a dummy astronaut called “Starman”; David Bowie blasting on the speakers; a message on the dashboard that read “Don’t Panic”; and “Made on Earth by Humans” printed on a circuit board. Check out our follow up blog that includes our insights on how to use marketing with video to effectively market your hotel. Right here. The ingenuity of this publicity stunt is hard to exaggerate. Elon Musk created the most watched car ad in the world, with a $0 ad budget. He made space accessible, marketing with video, by including an element of silliness and fun, and connecting it to something we see everyday (granted, a Roadster is not exactly the car most of us see every day). It was a moment of awe and wonder shared by people across the world, that also happened to distract from the Tesla Model 3 production delays. On March 10, the launch was followed by a short film of the event created by Westworld director Jonathan Nolan. The emotional film highlights the reactions of those watching the launch and is complete with a powerful Bowie soundtrack. The film, along with incorporating the Tesla into the launch itself, are a stroke of marketing genius. They’re also a continuation of a tradition of marketing with video to promote space exploration. Collins, along with Apollo engineers and other astronauts, had not wanted to live broadcast in the first place. In their opinion, a live broadcast was a waste of time, money, weight, and the crews’ attention. There is something about video that is more urgent, more poignant, and more engaging than any other medium. Something that reaches out to viewers and connects with us in a way that nothing else can. Imagine, for a second, if Julian Scheer hadn’t insisted that the Apollo astronauts record live video, or if the technology wasn’t possible. Imagine, if 600 million people on earth had never seen Neil Armstrong taking that one giant leap for humankind, in real time. Would the moon landing have captivated our imagination in the same way? Sign up to our newsletter to make sure you don’t miss out!